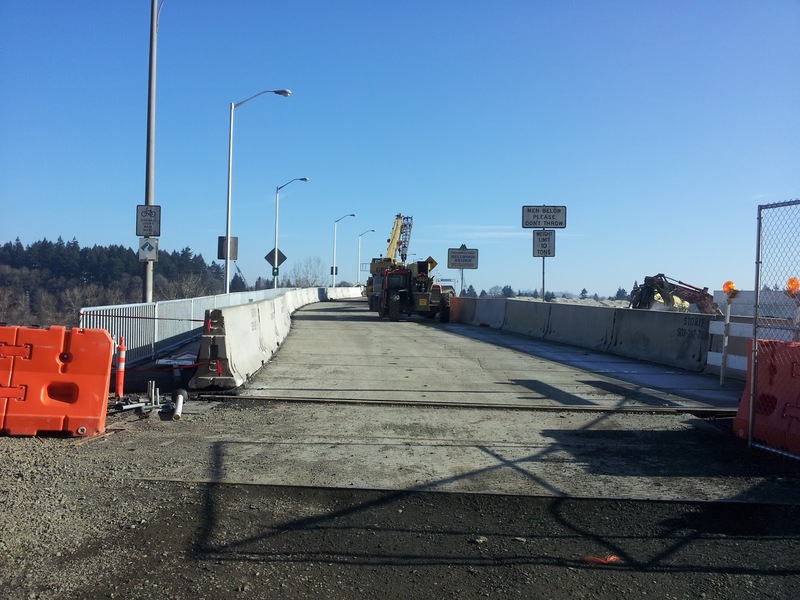 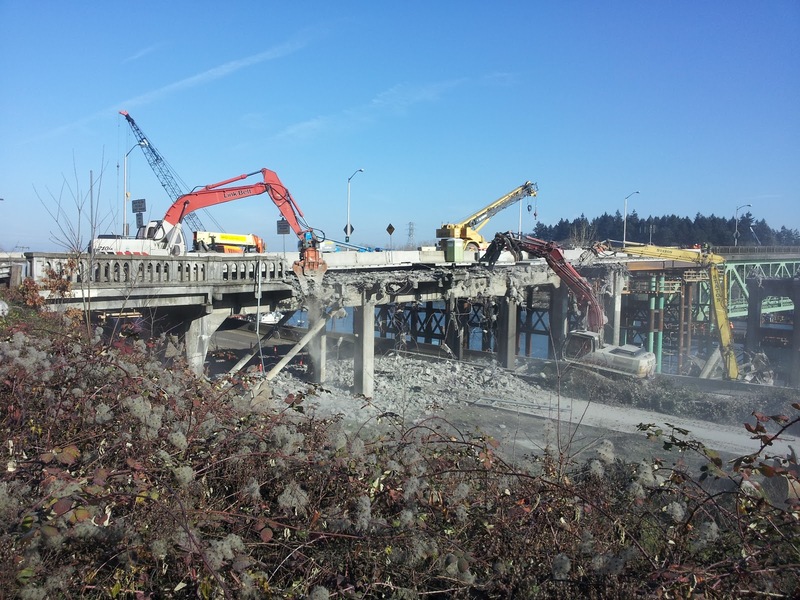 The Sellwood Bridge was moved this weekend, ever so slowly, and just 66 feet to the north. 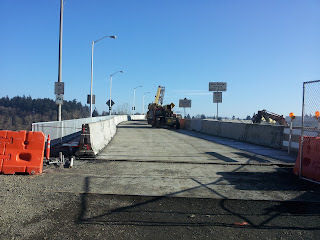 This temporary placement will be our route across the river while the new bridge is under construction...so, until 2015. 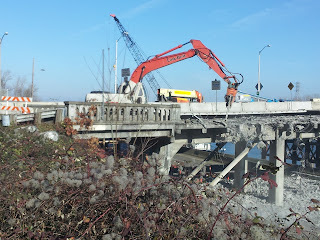 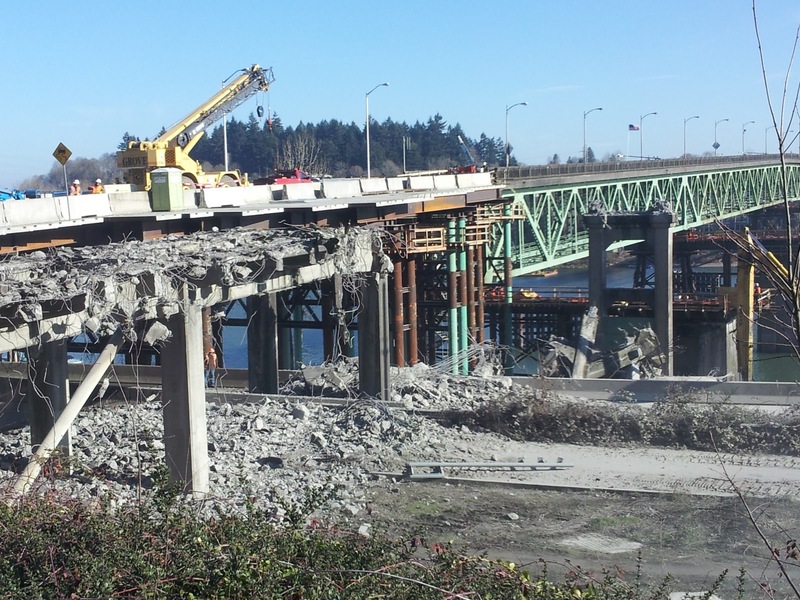 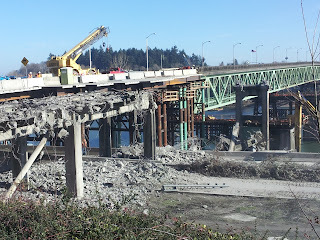 Actually, *most* of the Sellwood Bridge was moved. 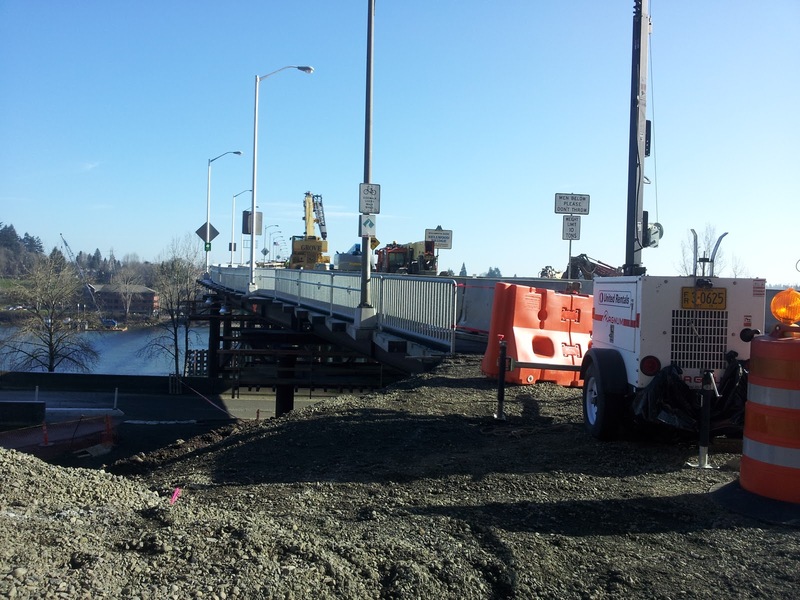 The main Steel Truss Span of the bridge was placed on new supports for the temporary bridge structure. 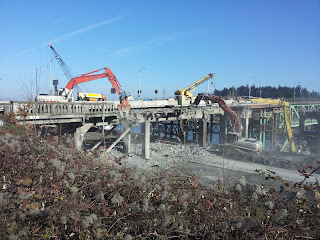 The original concrete & rebar end supports were left in place and torn down today - shown in the following pictures.